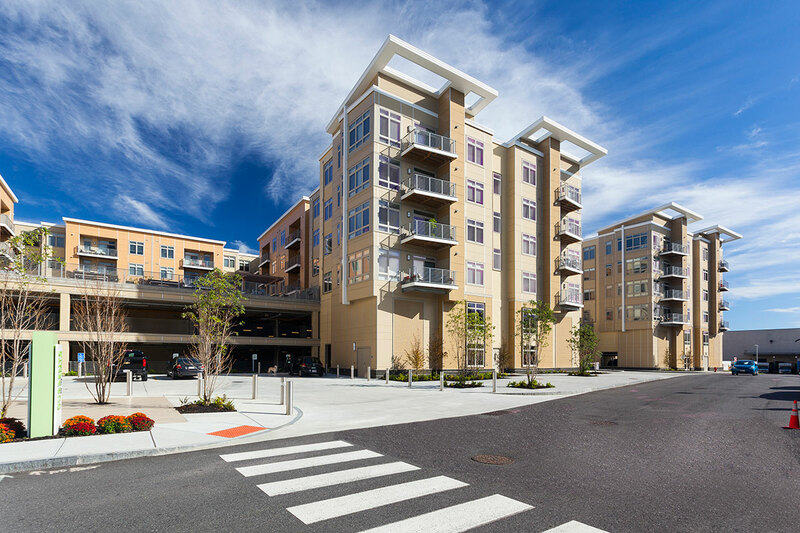 Designed by CUBE3 Studio, Currents on the Charles contains 187,720 square feet and includes 200 luxury urban-style residences in a four-story building above a two-level parking garage. The complex features a best-in-class amenity package including a resort-style swimming pool, a state-of-the-art fitness center, an Internet café and a sports lounge. The building's exterior materials feature brick along the urban street sides with projecting bays along both River and Farwell streets, while the Charles River elevations and courtyards are primarily clad in cement panels with large windows that take full advantage of the river views. Units feature high-end finishes including stone countertops, stainless steel appliances, high-quality cabinets and lighting and an open kitchen/living design with all-wood floors. 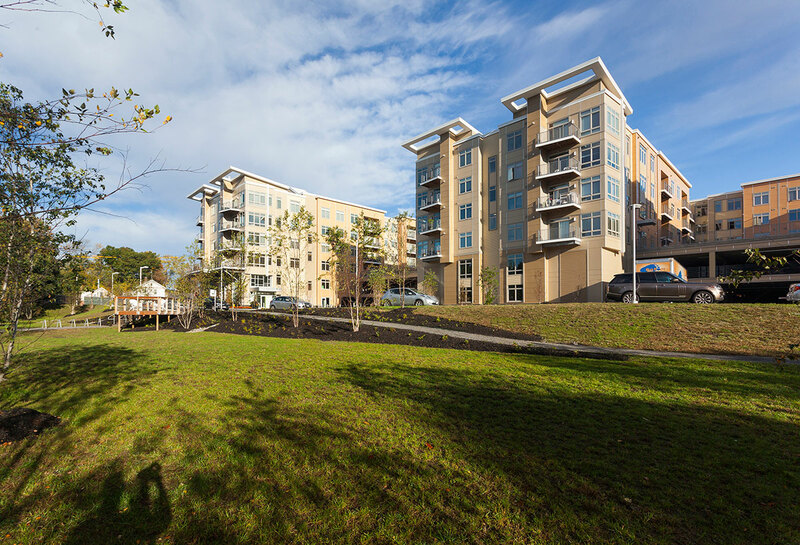 Courtyard-facing units have large exterior balconies that overlook the Charles River. Currents on the Charles is strategically located between the three most highly concentrated employment centers in metropolitan Boston, Route 128, Cambridge and downtown Boston. 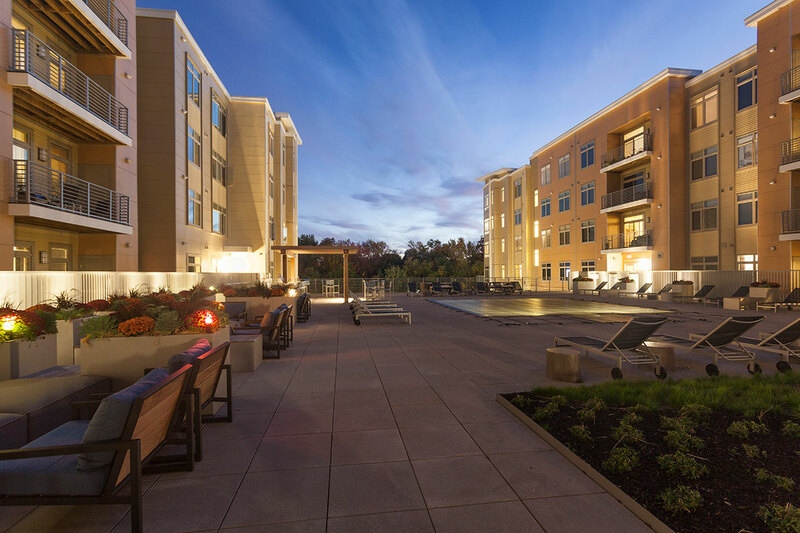 The location benefits from nearby MBTA bus and commuter rail stations and its adjacency to the Charles River and the Charles River Reservation. The Charles River Reservation is a 20-mile-long linear park which provides Currents on the Charles tenants with a variety of recreational opportunities and a pleasant walk to downtown Waltham's shops and restaurants, or a bike ride into Cambridge or Boston.